Not too many days ago a young woman whom I’m helping to find a home questioned me on one of the words I used in a sentence. She said, “Ooodles? What’s oodles? There’s no such word as oodles.” I laughed when I proceeded to tell her it is a word and she would likely find it in a dictionary. I went on to give her the general meaning of the word along with examples. There are oodles of noodles, along with oodles of sick jokes, as well as oodles of naughty monkeys, and the list goes on and on. I think nearly everyone should know the meaning of the word oodles since they have put the meaning of the word into practice in their lives. They have oodles of rarely worn clothes in their closets, oodles of nick knacks all over their homes, along with oodles of toys in their basements and garages. We can’t forget the oodles of free time, along with oodles of credit card debt, and most certainly oodles of money spent on anti-aging and fitness products. And then there’s the oodles of complaining, oodles of backstabbing, oodles of vulgar language being used on a daily basis, and don’t forget the oodles of time spent on thinking about how to become an overnight millionaire. My favorite oodles are oodles of smiles and laughter, oodles of freely giving, oodles of simple yet precious moments, and oodles of licking dogs, purring cats, and birds that sing. I’ll never get enough of oodles of sunshine, oodles of summer nights, and oodles of rustling breezes. I’ve suddenly decided I’m going to start getting rid of the unwanted oodles and work at building upon my favorite things so I will then have more oodles. I think I’m going to look for a handsome bucket where I’ll place all my “oodles” wish cards and look at them once in a while to remind me to keep working on building up my oodles. 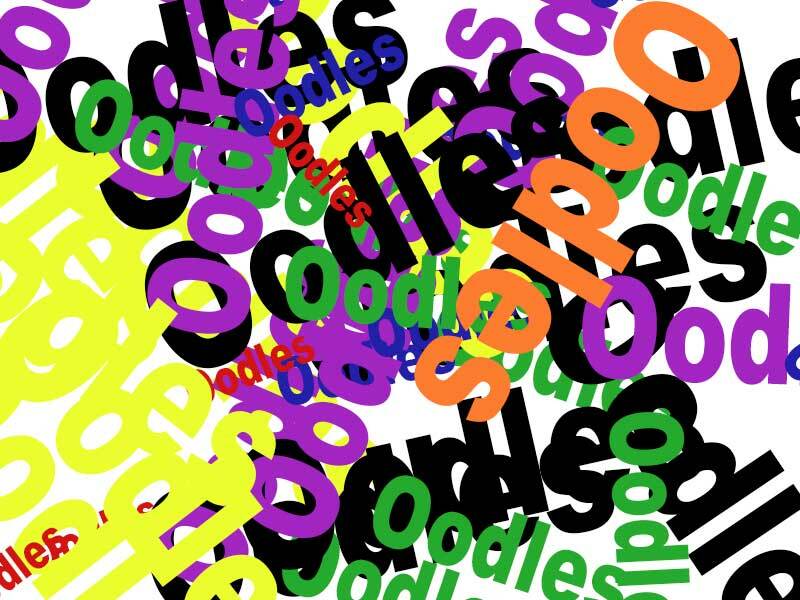 The next time someone uses the word “oodles” in a sentence and it sounds negative to you, turn it around and think of something you would use the word in a positive sense. Wouldn’t you say I’ve used oodles of oodles in this article? No matter what you may think, I like oodles!